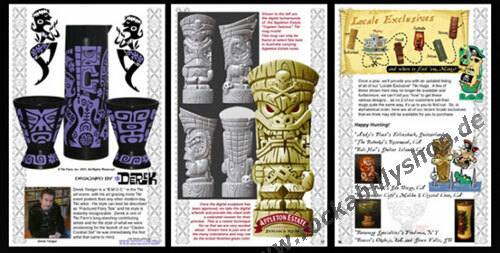 Tiki Farm Collector's Quarterly Summer 2011 - 44 pages cover-to-cover featuring tons of great "inside info" on the projects, events and happenings in the Tiki Farm Tiki mug collecting world! Printed on 100# heavy gloss text, the magazine measures 5 1/2" x 8 1/2" and features so much of "what you want to know and learn" about our goings-on! Holden's team has done a terrific job on this !